So what are you guy's thoughts on it so far? I'm heading towards the end of the game now and it's easily IF's best game yet, in my opinion. Suffers from a few problems but overall its great. Im hoping it comes to the EU/US - the design really looks good. I havent actually seen any gameplay on it yet! 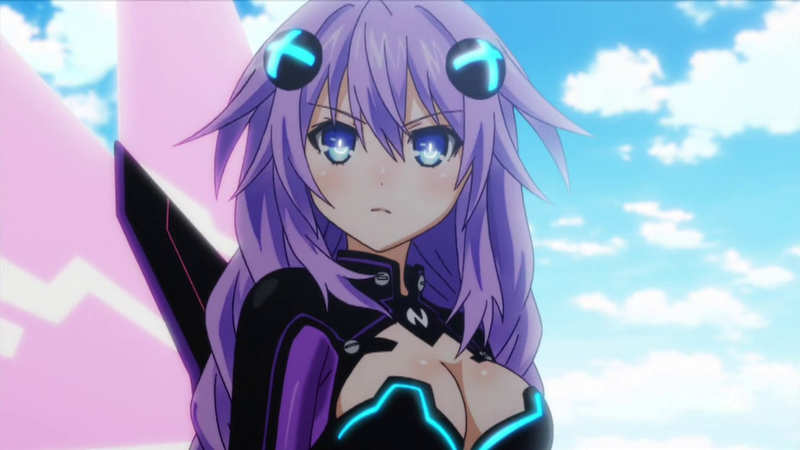 Does it build on the Neptunia formula in any way? I only played the demo. 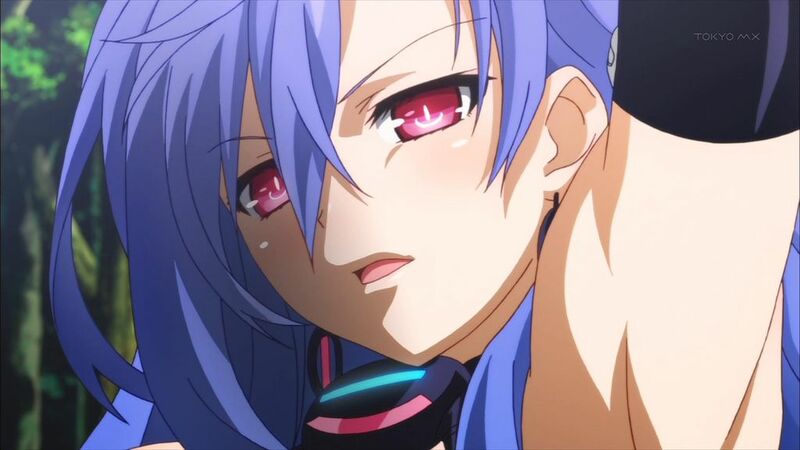 Yeah, I did enjoy it far more than the Neptunia V demo. I'm enjoying it, but I'm waiting to see how the plot develops, as with Toshiki Inoue writing, one can't be sure if everything goes smoothly. Also, there are still some technical issues with the frame rate (something I'd wish CH would iron out in the future). YES the frame rate is absolutely horrid. It feels worse than anything they've ever done. I have no clue how this happened. And don't worry, the plot gets crazy pretty quickly. However, from a personal standpoint, I'm not interested in a localized version (not to mention, I'm already playing the Japanese version, so that would be pointless anyway). Wow, a CH game with bad framerate. Didn't see that one coming. I'm hoping this gets localized. I have the JP version, though I'm going to wait until some weapon DLC releases to play it. I got it early just to get the LE. I too am looking forward to this game the most. Still waiting for those November announcements. 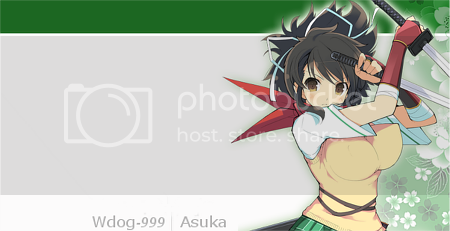 http://senran-international.boards.net/ Come join the Senran International Academy (SIA) today! I've said it once, I've said it again. NISA doesn't have to start working on it right away, I only want an announcement. Confirmation that at least we'll get it at some point in time. The point is that the frame rate is worse than anything they've ever done. That's not okay for a game that is an advanced form of their previous works. V's frame rate wasn't nearly as bad as FFF's. Gawd help you when everyone has transformed too. Its smooth during attack sequences, but outside of that its a mess. Not gonna lie, I felt like the framerate got worse every time they released a new game. You know, it could just be demo pains. Im sure the full game will be ok, unless there really is a problem. Is everyone not talking about the full game? Played the JP demo myself. Pretty good so far. Looking forward to seeing if IF International or NIS will pick this title up. Would it be as well to have a separate thread to discuss the demo, and to leave this one for the full game? I have the full game and am about to beat it. Wasn't talking about the demo. Fairy Fencer is great but it gets too easy once you start getting your B rank Furies. Not to mention the dungeons are very limited and you are literally stuck with the same few dungeons from the beginning to the end. Fairy Fencer F suffers from extreme linearity and lack of challenge. The only real challenge is doing the higher floors of the tower (or DLC version). I never once came close to a game over and the moment you unlock the Rocket weapon tree, you can just go take a nap while you destroy everything with the 20-hit attack. I find the whole WP system and battle system the most noteworthy aspects of the game, but FFF is by no means a bad game. 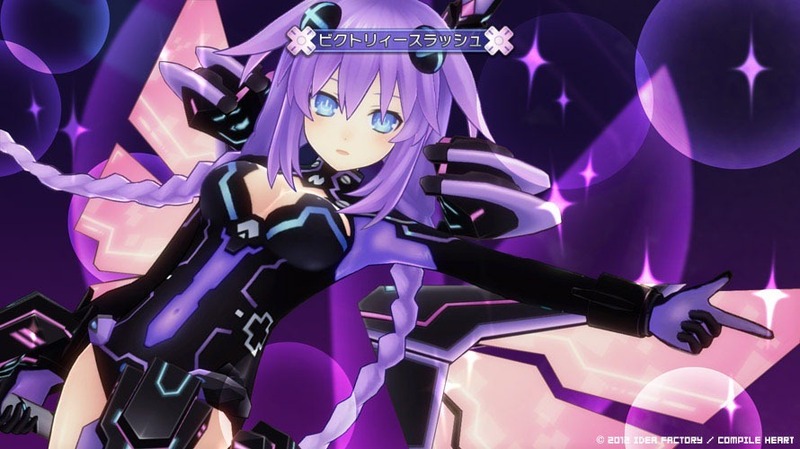 It could have used a little more polish and perhaps some kind of difficulty spike like Neptunia V had. World Effect is pretty nice too, but that too is a testimony to how easy the game is. I mostly set a dungeon up so I get big gains at the cost of not being able to use magic, attack skills, heal SP, reduced defense, double damage, no healing HP and still manage to avoid any critical situations. I can't say I experienced framerate issues mentioned in the thread. I didn't install the game so I'm not sure if that makes a difference. I still greatly support Fairy Fencer F's localization. It's one of the best games in the roster in my opinion. The fact that it's easy (relatively speaking) it's mostly due to the high degree of customization that is available. It becomes easy to "break" the game, but nevertheless the whole system (minus the menus that are confusing) is a welcome addition. Not even. You can "break" the game without even trying. I used the default attacks/skills for a large chunk of the game and still destroyed everything. Though you and Noire Yoshida right. The elements of the game are good, but because of it, it just always gives you an advantage. Especially when you can stack swords and nullify any disadvantages. Also what's confusing about the menu? Pretty easy to follow, assuming you can read it. I wouldn't play the game without knowing Japanese. But the game dumps all the customization options in one menu, which also has the equipment screen, etc. I'd call that bad UI. I think the menu UI is pretty straight forward even if you don't know Japanese. Eh, I don't really see it. Its straightforward and even indicates when certain selections will bring up submenus. I disagree. Skills and WP (not to mention the Resonance Effect submenu) shouldn't be put in the same area as equipment. I prefer the UI they used in Neptune mk2 and V over this one. ... I'd absolutely love to see this game localized, despite the linearity/problems/etcetcetc. Looks like just my kind of game. Thinking of importing it, along with Exstetra, within the next month or so. Played the demo and enjoyed it. 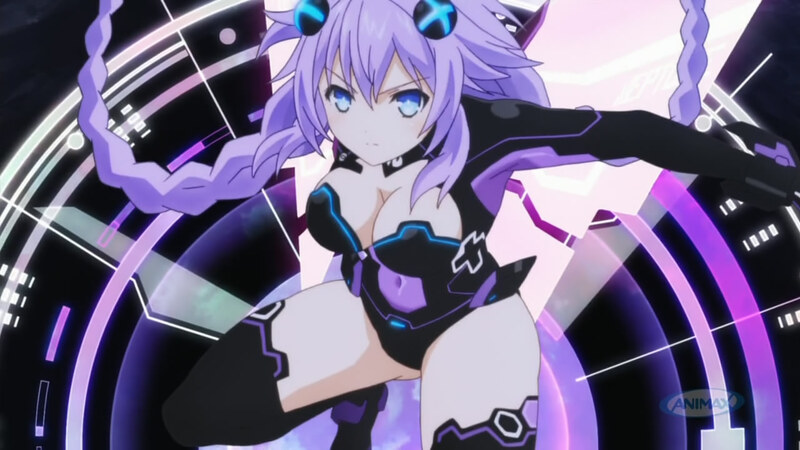 Personally, I would have liked it if the gameplay differed from Neptune V a little more, just for the sake of variety. I thought the menus were fine, and I didn't notice any significant drops in frame rate. IFI seems intent on localizing the game, so I don't think we need to worry too much about that. Tsunako's character designs are great as always. I dunno. That makes perfect sense to me. "Wanna change something on your character? Go here." yesterday i play de demo and i like the game,loving the first heroine who make remember to finnel of ar tornelico,hoping what this game can be out in the west the next year. - Weapon Set Ornament change "Yellow" - Pish styled ornaments for Pipin's weapons. 150 yen. - Additional Fairy Pack 4 - Fairies "Mia" and "Charlotte". Cannot be used with God Reproduct. 200 yen. 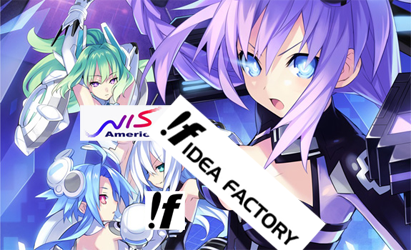 Any news on a localization of Fairy Fencer F ? Can you please do something about your sig? Holy crap, please. I opened this to see the new post and wow. we need spoiler tags so people can hide their sigs and let people decide if they want to see it or not. If this does get localized I fear it might get the HDN treatment in terms of dubbing (IE: Only 10% of the game being dubbed) solely based on the number of voiced roles the game has. Indeed a CH game with a male main character would be interesting but first things first let them finish localizing their current project and we can barrage them with even more game requests but I still feel this one will come over eventually. A Proud Supporter of niche games and developers. I think I'd rather let Aksys have it, to be perfectly honest. But as long as someone's been looking into it. I'd be upset if it's NISA, though, as they seem to be in over their heads on projects. Several game and anime licenses have gone quite a while without upcoming release info (we only just got some info on Demon Gaze's release date only because they opened it for pre-order) and they still have other obligations to look into like the Neptunia Re;Birth games and Disgaea 4 Vita. Waiting on NISA to get this will mean waiting quite a while. And I just haven't been a big fan of them over the last year or two. Nah I pretty much agree, let someone else besides NISA do it, they're backlogged to hell right now and the quality of their releases have dropped significantly. You'll just have to block some of his pictures with Adblock Plus or something similar until he or a mod changes it.